Growing interest in minimally processed wines is shaking up the wine industry. (Inside Science) -- About 10,000 years ago, a farmer in Asia noticed that some of his grapes had naturally fermented and liquid was forming around them. He took a taste and found that it was good. We have been drinking wine ever since. “It predates pottery, for sure,” said Andrew Waterhouse, a graduate advisor at the Department of Viticulture and Enology at the University of California, Davis. Since the farmer's discovery, the basic process of winemaking has remained much the same. The quality of the wine produced from grapes largely depends on the quality of the grapes and where the grapes are grown. Climate, soil and other environmental factors, terroir in French, play a role reflecting the amount of sugar and tannins in the grapes at harvest time. The grapes are pressed, and the stems and seeds removed. The result is called "must." The must is then fermented. If the winemaker does nothing, yeast in the air will begin the process, but most winemakers now use laboratory yeast to control the quality. The fermentation stops when the air supply is cut off in barrels or bottles. If it isn’t stopped the result is vinegar. The sugar in the grapes is thus converted to alcohol. The wine is then clarified, perhaps with filters, and aged, perhaps in oak. Some wines are quickly bottled and ready to drink immediately. Others, particularly reds, can take 10 or 20 years of sitting in bottles or oak or steel barrels to fully mature. But as science and new technologies invaded vineyards, the ancient process has seen striking changes. In many vineyards, fertilizers are now used on the soil and insecticides protect the grapes from insects. The liquid from the pressed grapes is now filtered and sulfites are added as preservatives. Modern methods guarantee more consistent taste. That way wine from Bordeaux grapes usually tastes like a Bordeaux should, as opposed to a Burgundy or wine from another area. Enzymes are also often added to the wine, and the yeast that eats the sugar and produces the alcohol often comes from laboratories rather than the air around the vineyards. But in the last 20 years a pushback has roiled the wine industry as the concept of natural, or raw, wine gains devotees. The whole industry is showing signs of rebellion. The goal is to produce wine less like modern megaproducers and more like the ancient Asian farmer. When making raw or natural wine, the natural chemistry of the winemaking process is unaltered from the vineyard to the bottle. The grapes are farmed organically. Yeast comes from the ambient air at the winery. “They start fermenting all by themselves. You don’t add any yeast,” said Isabelle Legeron, a Wine Master and an advocate for natural wines in France. No chemicals are added, and the raw wine is not filtered. Sometime the taste is unique. Legeron comes from a family of winemakers in Cognac who use modern methods even though she is an advocate of raw wines. Those who embrace the modern processing techniques consider the idiosyncratic tastes of some of the natural wines to be easily eliminated, Waterhouse said. But advocates of natural wine insist the wines taste real, the way nature intended. “If the stuff tastes weird it is supposed to be weird,” said Waterhouse. 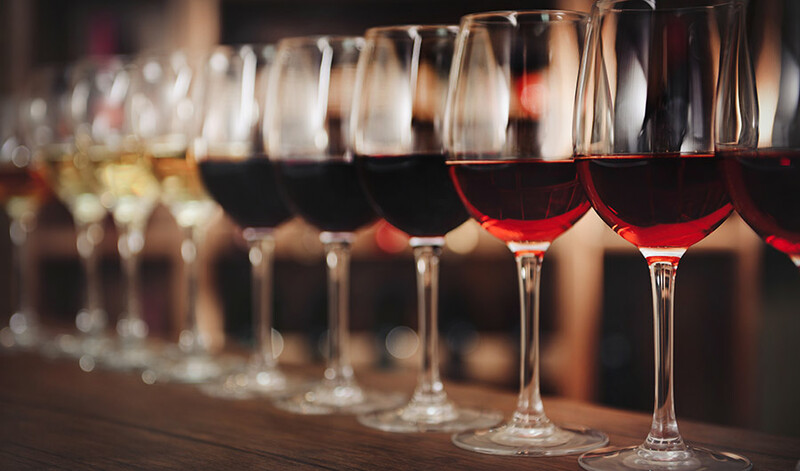 “Pretty much all wine is natural,” said Linda Bisson, professor emeritus at the Department of Viticulture and Enology at UC Davis. “Very little is done or added with the exception of yeast and potentially nutrients for yeast. Some add other processing aids like enzymes or use an antimicrobial like sulfite." “Some winemakers, especially in Europe, have been making wine naturally forever,” said Alan Hirsch, a restauranteur and co-owner of Donna’s, a Baltimore restaurant with an extensive wine list. But it was done without much notice. The battle actually began by accident. In the 1950s, winemakers in Beaujolais region of France began producing Beaujolais nouveau, an inexpensive red wine, one step beyond grape juice, rushed from the vineyards to the bottles in a matter of months, a process in France called faire pisser la vigne, or making the vines piss. It was a huge commercial hit. It also was incidentally the prototype for natural wines, using natural yeast but adding sulfites as a preservative. The success of Beaujolais nouveau inspired others to develop wines with yeast from the air but without additives such as sulfites. The natural wine trend began growing more quickly in the 1990s. The Guardian newspaper reports that almost 40 percent of upscale restaurants in London now have at least one natural wine on its wine list. The researchers at UC Davis, America’s pre-eminent wine school, say the natural wine is good if the vintner knows what he or she is doing. So how do natural wines taste? To provide readers with seriously considered facts, the author of this story held a completely unscientific wine tasting at Donna’s. Hirsch selected six wines, including three from France and three from Oregon. All were moderately priced (just less than $20), half were natural, and half made conventionally. A panel of four tasters, people who like and know wine, found most came in close in quality. None of the judges could detect which was natural and which conventional. The judges liked them all.